** Percentage Daily Intakes are based on an average adult diet of 8700KJ. Your daily intakes intakes may be higher or lower depending on your energy needs. Gluten Free Flour Mix [Rice Flour, Whole Grain Buckwheat (13%), Whole Grain Sorghum (12%), Maize Flour], Pepitas (10%), Cranberries (10%) (Cranberries, Sugar, Vegetable Oil), Resistant Maltodextrin (Prebiotic Fibre), Golden Syrup, Chickpea Hulls, Psyllium Husk, Emulsifier (Sunflower Lecithin), Salt. Good things come to those who eat good things – and Active Balance Multigrain & Cranberry is the perfect example. One bowl offers 26% of your daily fibre intake plus prebiotics to nourish the good bacteria in your digestive system, leaving you feeling like a million bucks. It’s a tasty combination of buckwheat, sorghum, pepitas & cranberries (also available in Buckwheat & Quinoa). *Monash University Low FODMAP Certified™ product: FODMAPs are a group of dietary sugars that are indigestible or poorly absorbed by the gastrointestinal tract. 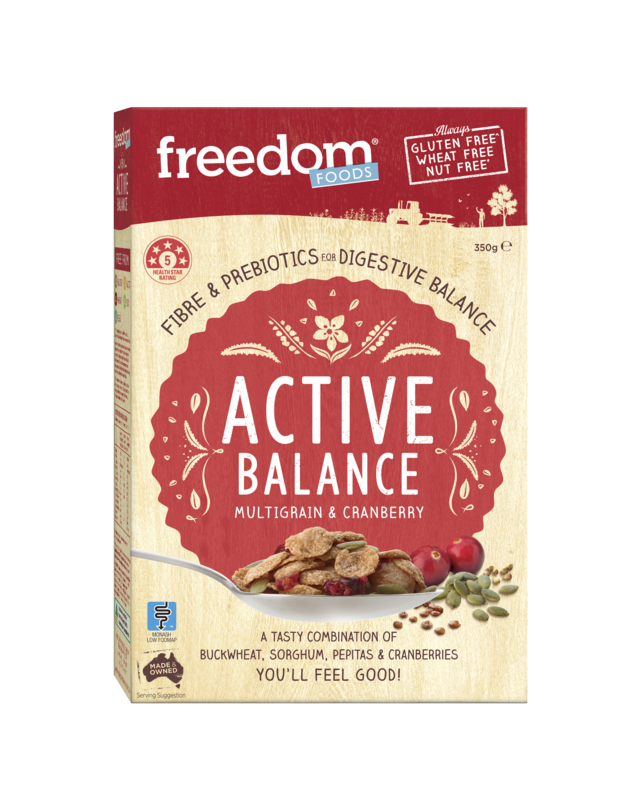 Samples of Active Balance Multigrain & Cranberry have been analysed and were assessed to be low in FODMAPs. 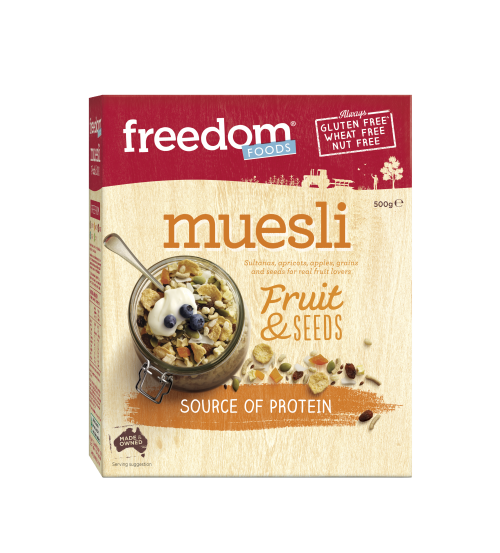 Monash University Low FODMAP Certified trade marks used under licence in Australia by Freedom Foods Group. 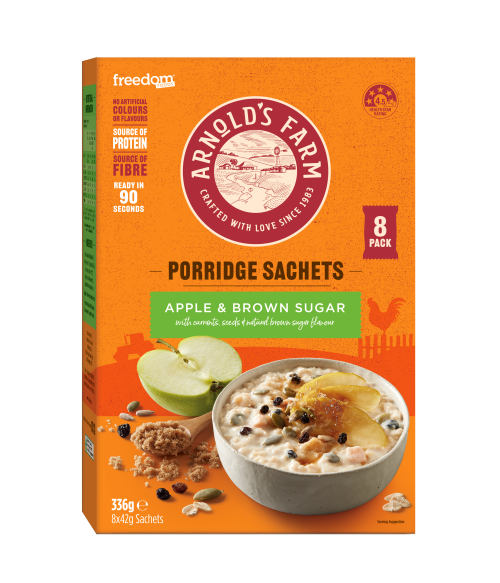 One serve of this product can assist with following the Monash University Low FODMAP diet™. A strict low FODMAP diet should not be commenced without supervision from a healthcare professional. I’ve never actually had this cereal, but, my friend has and he says it’s awesome. 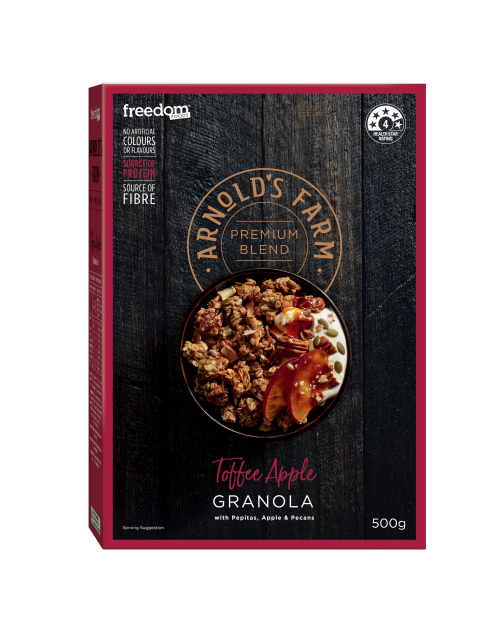 Being dairy free and gluten free must be pretty hard for him, so this cereal is literally all he eats which is great for him. Not usually a fan of cereal, but this is perfect! Just the right amount of sweetness and crunch, keeps me full for ages and doesn’t give me any bloating. Just wish it came in a bigger box! I understand why these are so popular, quite a few people I know, as well as myself, are quite hooked on it, it has the nice sweetness of the cranberry without being overly/artificially sweet and the pepitas give it a nice texture, love it! Love this cereal! Eat it every day – please never discontinue it! So crunchy, healthy and yummy. great food to start the day! Active Balance cereal is so yummy!!! Great way to start every day!